The internet is currently the best library for information. This may sound wrong but even if one wants to create a nuclear weapon, all one has to do is to do a search on any search engine and one will be provided with all the information necessary to create it. I am in no way advocating that you do this; I am just showing you how much information there is on the internet. But with what has been discussed, you will find that most of the websites that are found in Kenya are filled with a lot of flash images with lack of information. They are mostly adverts and links pointing to other pages and other sites. This why it is hard to get Kenyan sites performing well against the other international sites. 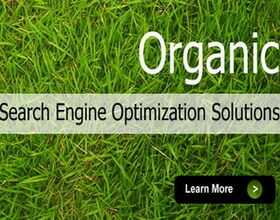 The reason for this is because they have not been optimized…in other words, they lack search engine optimization. The most common ways of getting information on the internet is through the search engines. In addition to this, search engines look for websites with necessary content and well researched keywords so that your site can appear in the top pages in search engine results. This means that if your website lacks content, it is probably in the hundred and something page, which is rarely visited. But with the relevant content and right keywords, your website will appear in the first 10 results, if it is well optimized. Let is say you have a Kenyan website then you have it optimized for the keyword ‘music instruments’. This keyword could have a popularity of 50 million visitors per month. If your site is among the top, we can say that 10% of the visitors (5 million) access your site. Out of those 5 million, another 5% (50,000) purchase a product at an average of KShs. 1,000. This means that you have made a cool KShs. 50 million in a month. How cool is that. But the only way that can happen is by getting SEO services that can be found affordably in Kenya.